Hahaha......There's an evil toddler week going on and I was wondering if you could make a meme for it. Make sure you tag it "evil toddler week"! I'll come up with something! 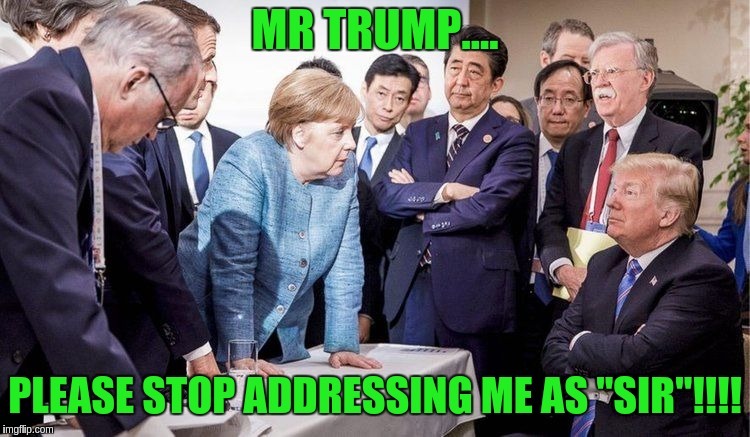 MR TRUMP.... PLEASE STOP ADDRESSING ME AS "SIR"!!! !